The Field Trip was cancelled for club participation due to current road conditions and the inclement weather forecast for our trip dates. 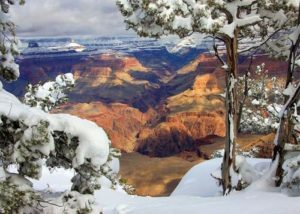 The Photo Club is planning an overnight trip to the Grand Canyon this winter. Details will be announced at a later date. However Grand Canyon Village accommodations are filling up RAPIDLY! We suggest that interested parties make reservations as soon as possible. We currently have people staying at the Bright Angel and Yavapai Lodge, but other options may be available. Most have a cancellation policy within 3 days of date, but be sure check. If you are planning to attend to experience the Grand Canyon in a different light, please fill out and submit the contact form below.